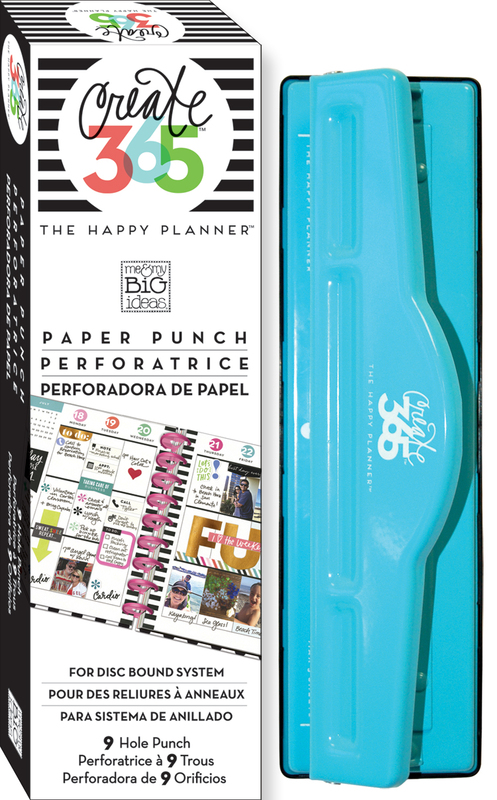 It is safe to say that mambi Design Team member Jen Randall is getting PUNCH happy with our new Happy Planner™ Punch. (Once you get your hands on it, we're pretty sure you will too.) Today we're sharing Jen's latest few pages in her Happy Planner™ in which she added some pockets, Clear Expression transparency cards, and a jazzed up tag! "OH MY GOSH! That new punch! I want to punch everything! LOL! These pages are my way to show different ideas for adding bits into the planner. Once I started, it was hard to stop! I look at all things now with new 'Wait....Can I punch that?' eyes. 1) Small glassine envelopes: I added the cutest little envelope to hold small 2x2 Instagram photos and new Pocket Cards. I layered some new washi tape & a sticker for decoration. 2) Large paper bag: This cute Heart bag came from the Dollar Spot. It became an instant super cute place to hold sticky notes. It could be used to hold photos, receipts, tickets, notes, drawings from your kids, etc. 3) Clear Expressions: I love the look of transparent cards. I thought the 3x4 & 4x6 cards would add a fun interactive element to my planner. NOTE: Before punching the cards, take the thin protective sheet off. It punches easier with protective film off!" "I love altering tags! 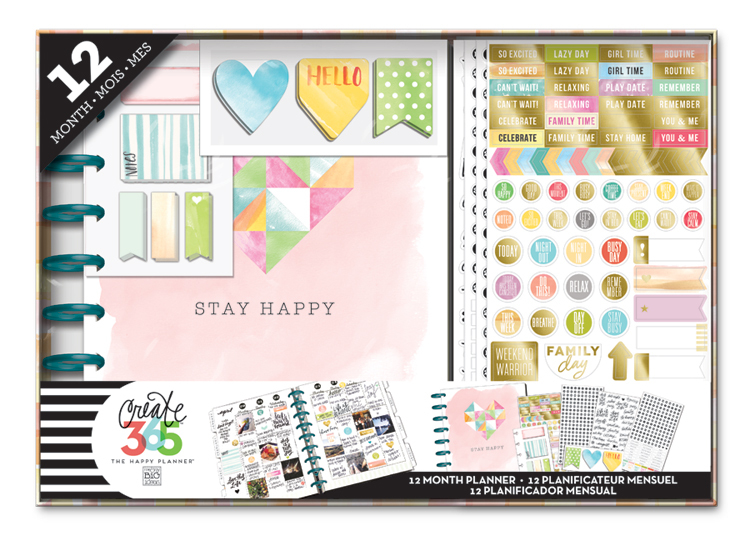 Now with the new punch, adding them into a Happy Planner™ spread is SO easy. For this tag I used gesso to prep the tag. After it dried, I added some watercolor color. I wanted texture so I didn't cover the entire tag. Then I used some paper & stickers to decorate. NOTE: Always punch the tag FIRST when using gesso or thicker medium like modeling paste. You don't want any of it getting into your gorgeous punch."